But what is teething? Teething refers to the process by which the tooth cuts through the gums into the mouth. However, the pain and discomfort associated with teething often occur before you can actually see the tooth cut through the gum. 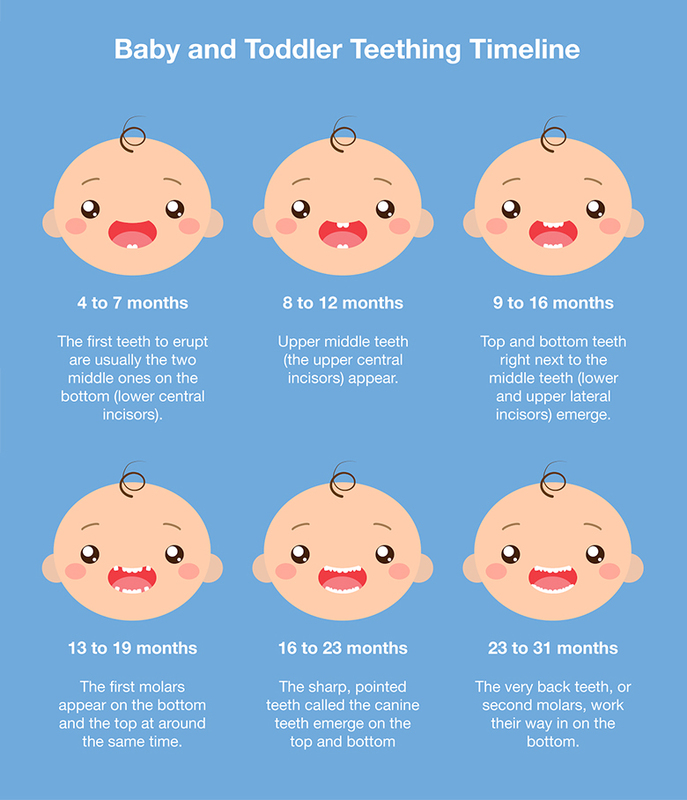 Please refer to the timeline below for a general guide as to when your baby’s teeth will emerge.